Despite his recent ‘Retrospective’ album offering a timely reminder of the quality produced over the years, it’s not all about reflecting on the past for Peter Bruntnell. There is much to admire about Peter Bruntnell whether it be the most obvious starting point and that being a wealth of material stretching over nine albums of equally consistent and sublime indie roots rock (or whatever label one deems fit to apply) or the ability to apply such talent to other ventures such as the recent Triple Troubadours tour held in various parts of Scandinavia, especially when there is a ‘best of’ album to promote back home in the UK. Those who are not familiar with the music of Peter Bruntnell, then his recent ‘Retrospective’ album is a good introduction to the man and his music. Covering much ground and offering narratives dealing with the usual suspects of love and unrequited love, with a sprinkling of musical references ranging from Neil Young to Bob Dylan but at the same time ploughing a furrow along similar lines to Bill Janovitz and Grant–Lee Phillips due to possessing an aching quality to their music that really pulls at the heartstrings and rendering it utterly captivating. With the temperature falling at a considerable rate outside with a possible risk of snow, Peter Bruntnell catches up with FLW after having walked several blocks, guitar case in hand, to arrive at tonight’s Oslo venue due to no parking facilities directly outside (see above when it comes to admiration). 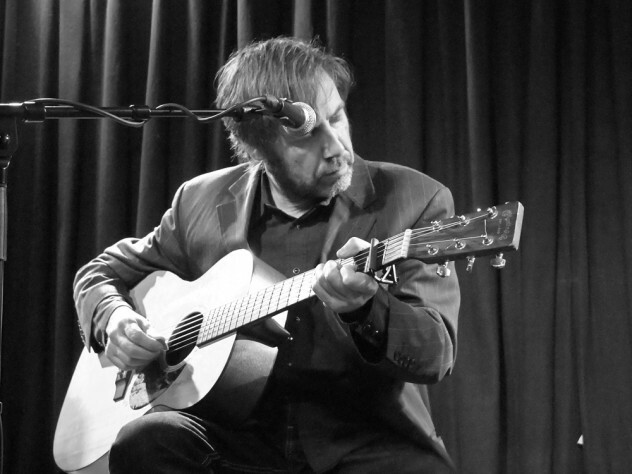 Despite the encroaching cold and slight fatigue due to a busy touring schedule, the mood is upbeat as Peter offers his thoughts concerning the Triple Troubadours tour – a team up with Tommy Womack (USA) and for the Norwegian leg Anders Svendsen aka Halden Electric – and the aforementioned career spanning album ‘Retrospective’. How many dates have been planned for this tour? In relation to this tour is it joint decisions in terms of which songs are performed on the night? Has Anders Svendsen, for example, listened to any of your albums as a means of preparation for this tour? “I have no idea, I don’t know,” is the immediate response. So the whole tour is completely improvised? After witnessing the Triple Troubadours on this particular evening, FLW can report that Peter Bruntnell was a man of his word as all three musicians applied whatever touches were deemed appropriate in an improvised manner such as a few chords of a guitar or bit part vocals that drifted in and out adding extra layers to some wonderful compositions that were delivered in a very intimate style. Not only was this evening a resounding success but in addition to our existing admiration for Peter Bruntnell, two more artists were added to that list as both Halden Electric and Tommy Womack offered enough glimpses of their work that warranted further investigation. 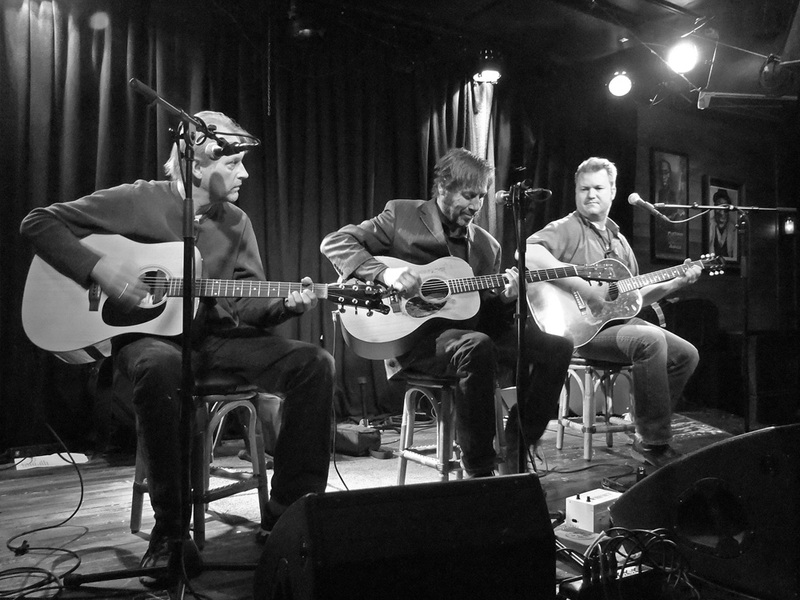 With the Triple Troubadours tour being something of an impromptu set of performances, Peter Bruntnell’s decision to become a part of this unrehearsed bandwagon was equally fitting considering the not too distant release of his ‘Retrospective’ album that obviously requires some form of promotion under his own moniker. More importantly, however, how does Peter Bruntnell feel about reaching this milestone in his career to date with ‘Retrospective’? How were the decisions made concerning the songs to be included on ‘Retrospective’? Did it take some time to whittle the tracks down in terms of what to include considering you have released nine albums to date? Was this because some of the older songs are too far removed in terms of your sound right now? Do you have a favourite album while we’re on the subject of ‘Retrospective’? 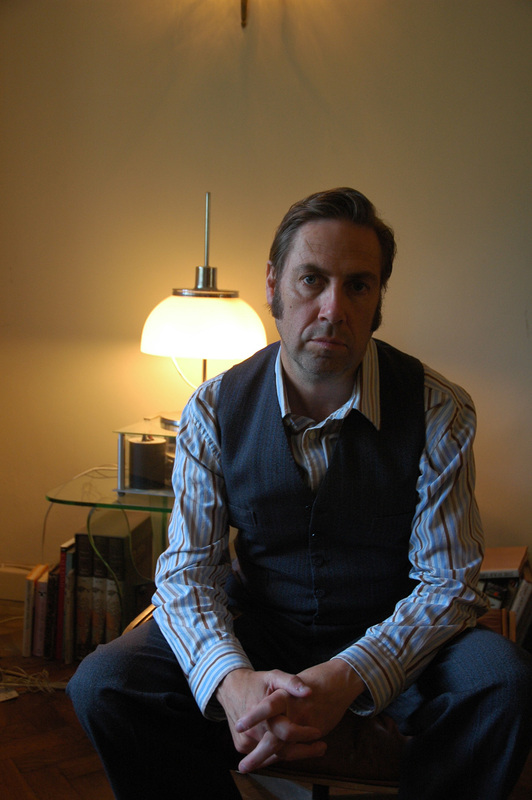 With Peter Bruntnell happy to describe his sound as “a mix of Nick Drake, Son Volt, Neil Young, Tim Hardin and maybe a bit of Syd Barrett in some of the latest stuff”, ‘Retrospective’ is the perfect introduction to any newcomers as these artists can be heard between the layers. There is one song, however, that is conspicuous because of its absence from this ‘best of’ due to a certain amount of attention it received at the time for its direct reference to a sensitive subject area and one that is often met with scepticism. The song in question is ‘Black Mountain UFO’ and is greeted by a barely audible chuckle from our interviewee once FLW demands an explanation. Talking about the whole experience? “Yeah, yeah…and it’s a crazy thing…” trails off deep in thought. Do you not think that it was just an unusual dream that you experienced rather than being an abduction of some sort? Was it a painful experience? Was the whole experience very clear when you woke up the next morning (FLW still not wishing to give up at this point)? Is it something you have always been fascinated by? “Not really, no,” replies Peter. “It was just after reading that book it became a bit [clearer]…I was doing a lot of drugs,” offers Peter with FLW bursting into a fit of laughter. So maybe the whole experience was drug-induced? “Yeah, it could’ve been that,” he says. “It could’ve been drug-induced paranoia and probably was,” continues Peter. “Let’s just say that, as I’m probably more comfortable with that idea,” leaving the song narrative and personal experience still wide open to interpretation. FLW presumes you get asked about ‘Black Mountain UFO’ a lot by other journalists? Whether there is genuine truth in Peter Bruntnell’s assertion that he experienced an alien intrusion one particular evening during the recording of ‘Black Mountain UFO’ is anyone’s guess, as the explanation surrounding this one particular song continues to remain a mystery. 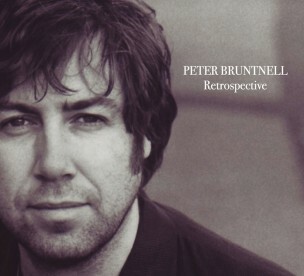 Despite failing in our attempt to get to the bottom of ‘Black Mountain UFO’ and, in all honesty, probably best that such an intriguing song is left open to interpretation, Peter Bruntnell and his ‘Retrospective’ album is not only a timely reminder of the quality and depth of his past recordings, but also a glimpse of what’s to come as this album is by no means the end of a journey. The Triple Troubadours tour is a clear indicator that there remains enough desire and creativity in his bones to take a left turn when perhaps steering straight ahead is by far the easier option. No doubt the new Peter Bruntnell recordings, when ready, will prove further testament to this ongoing necessity to keep testing his creative resources. ...there were some albums that I would have chosen more from such as 'Ends Of The Earth' if I could have done." Famous Last Words asked Peter Bruntnell about his reason(s) for re-recording ‘Played Out’, and the decision to involve Rumer on guest vocals. Do you feel the newer version of this song is a better version or are you equally happy with both versions?